Ground control to major impact! dashboard.earth wants you to feel good while helping the planet – and be rewarded while you’re at it. Do you walk to work or take a cab? How many flights do you take a year? Do you buy local? The team behind dashboard.earth know that encouraging us humans to help save the world isn’t as simple as offering a pat on the back, a reason to humble brag or to sleep well at night. 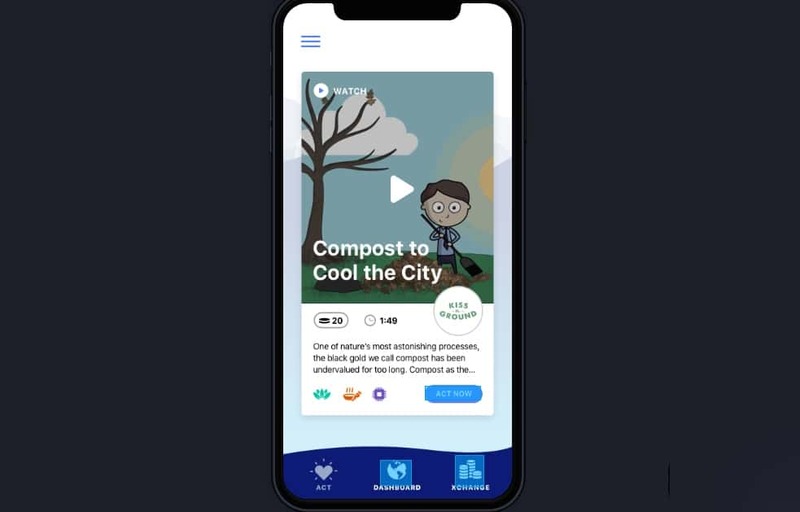 So they’ve designed a “dashboard for good for spaceship earth” – the first ever environmental impact exchange that helps you feel even better about bettering the .earth. The clue is in the domain name. 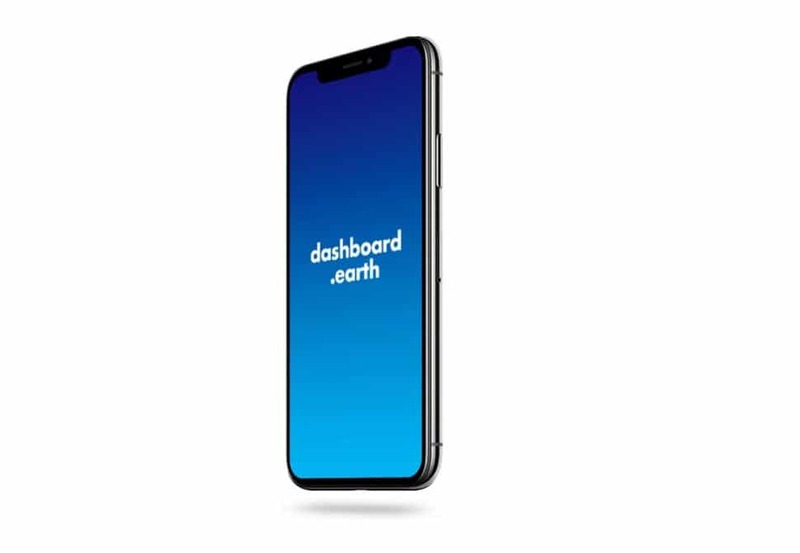 dashboard.earth is an open source platform that crowdsources the limitless number of climate actions from local government, environmental groups and individuals and turns them into actions we can all do, from tree-planting and rideshares to used goods and composting. 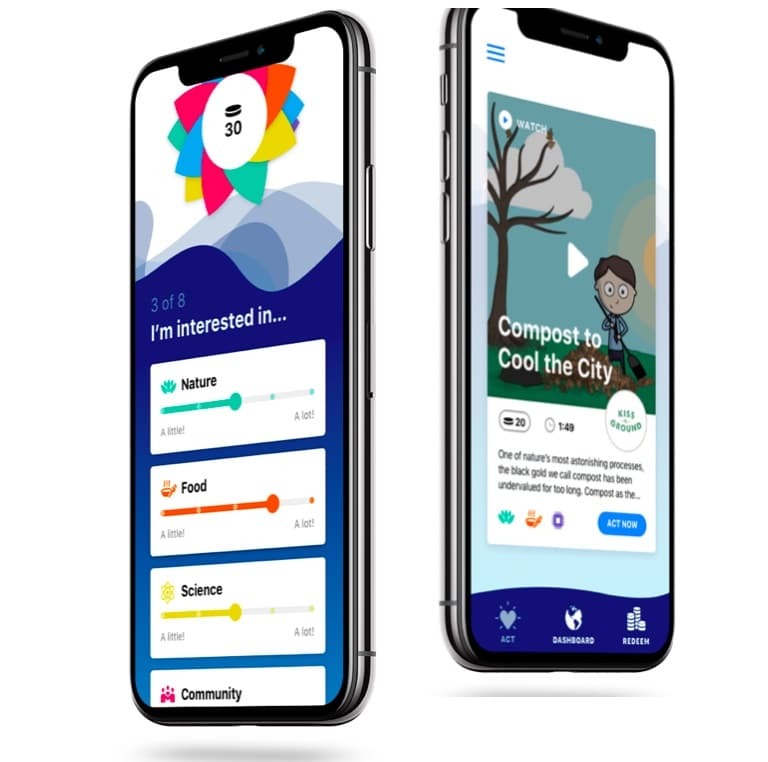 Then it rewards every action with a crypto-‘climate currency’ – a coin that is redeemable in real life for eco-products, services and donations sourced from city and public utility incentivisation schemes, and NGO and foundation campaign budgets. 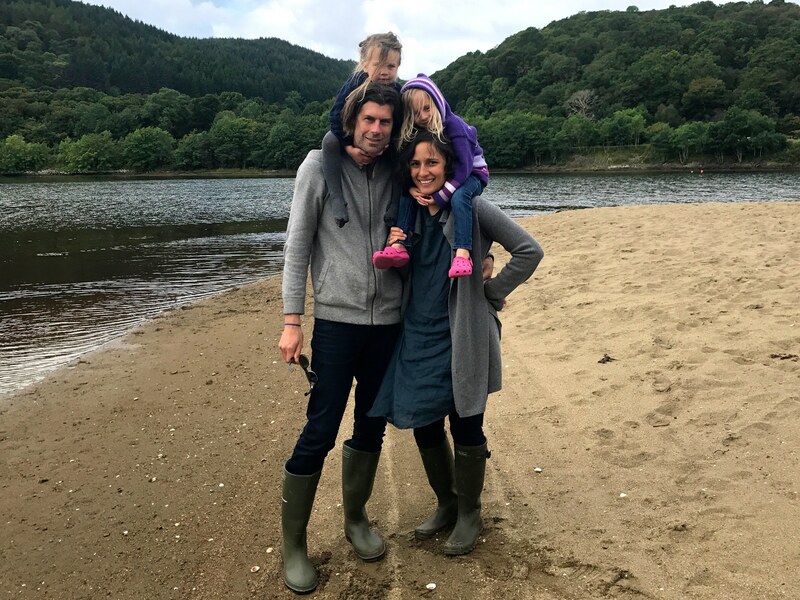 Married co-founders Gayatri Roshan and Stephen Marshall call them ‘VRA’ (Verified Rewarded Actions) and their idea is to nudge people to adopt climate-friendly behaviours. Right now there is no system in place to incentivise citizen action or software that shows people how we’re doing visually when it comes to the bigger picture. That’s what this team of developers, cryptocurrency architects, designers and data visualization experts are planning to change. Gaya and Stephen have always been focused on our planet. Gaya has worked for over 20 years in the field of deep ecology – on agriculture, architecture, water and the climate crisis solutions with indigenous communities on every continent as well as figureheads like Prince Charles, Paul Hawken and Deepak Chopra. Stephen is a Sundance award-winning director focused on war zones and conflict resolution (as well as controversial music videos for Beastie Boys, Eminem and 50 Cent). He switched from rap to tech in 2012 with the Silicon Valley-funded ora.systems. The cutting edge startup explores complex medical and climate change data in an actionable way – proving data is the new cool. The underlying technology is ora.system’s HALO, which was created with 3D computational artist, geneticist and ‘data-friendly Elvis’ Peter Crnokrak and visionary director GMUNK. The data visualisation software represents you as a physical being, a multi-dimensional creature that moves and changes shape based on your data. Using sensors, like those on an Apple watch, you can be represented digitally. Instead of using a bar graph to show how many steps you’ve gone in a day, you have your HALO growing over time – like a sea anemone Tamagotchi. On dashboard.earth HALO plays the central role of visualising the balance between impacts and offsets to allow the user to understand carbon footprint net losses and gains in daily decision-making. It can determine whether a person is walking to work and the frequency of flights through movement acceleration data and geopositioning. 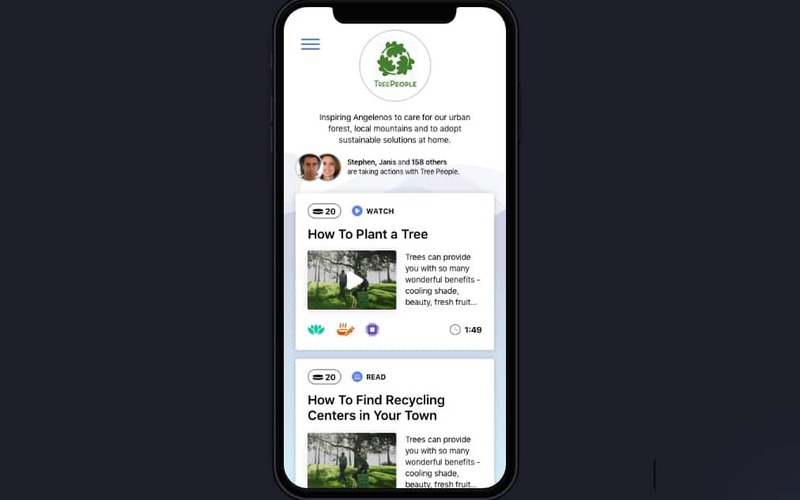 The plan is to open up the platform for local developers, designers and environmental groups. In the long-term, they want it to become a secure, user-controlled, civilisational data repository with enough human data that the AI-driven solutions engine can generate a continuous flow of optimal behaviour paths – to achieve personal and planetary goals. Perhaps the most interesting part of this is the inversion of the social network model, which mines user data and sells those user profiles to their corporate customers as a revenue model. “That’s a predatory and adversarial relationship,” Gaya asserts. 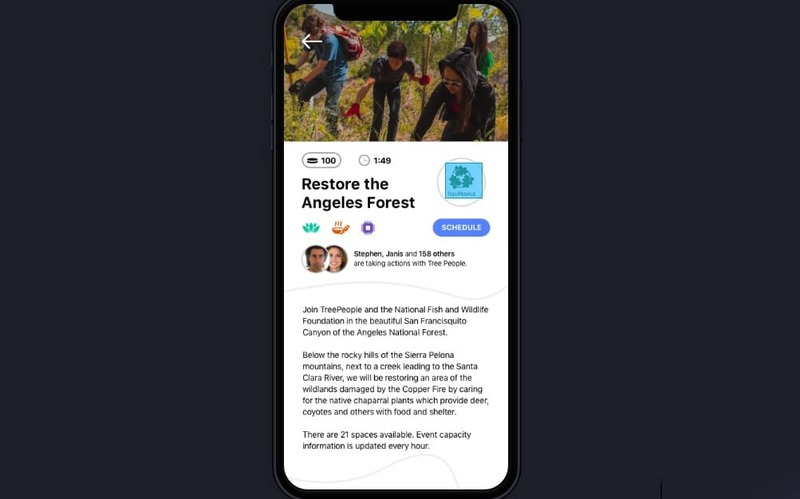 “Our vision is to create fun and value-creating channels for users to share their data while directly contributing to the creation of healthier and climate smart cities.” Think of it as a trusted data hub for good where the data is only used with consent to further the community. AtlasAction: To stay in the loop on their progress join the mailing list here. Tags: Apps, Artificial Intelligence, Awareness raising, Big data, Blockchain, Business, Circular economy, Clean energy, Clean water, Climate, Climate change, Communication, Community, Consumerism, Crowdsourcing, Cryptocurrency, Culture, CultureFutures, Data, Design, Environment, Fair trade, Global warming, Identity, Mapping, Open source, Platform, Recycling, Sharing economy, Smartphone, Wearable technology.